YOUTH PROGRAMS Summer Programs are on the horizon. Learn about our 2019 Youth Programs here. Be sure to log in or create an account (if you haven’t already) to register your child for our programs. ADULT PROGRAMS Spring is here finally, which means that adult education programs will be getting under way. Make sure to keep checking back as we add more exciting workshops and classes. 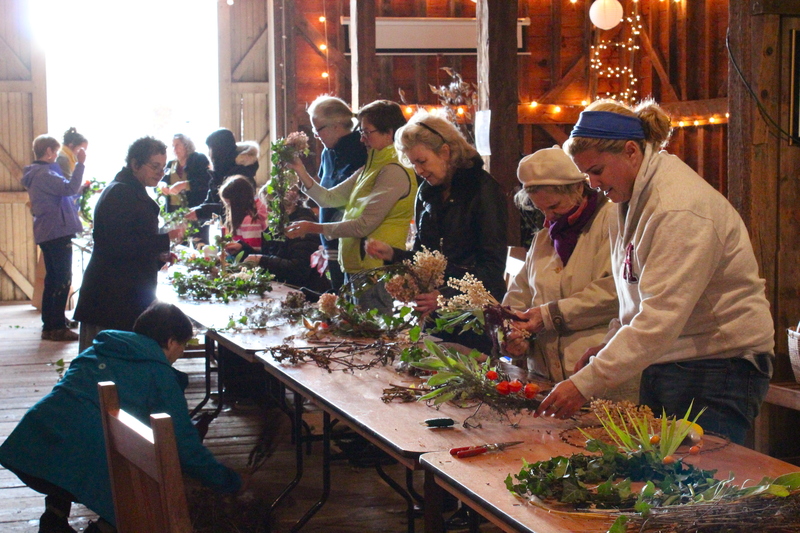 Seasonal programs are hosted in the farm’s historic 1827 Barn (78 Ridge Street) or down the street in the kitchen at Saint Eulalia’s Parish (50 Ridge Street). SPEAKER SERIES The Farm hosts a monthly educational speaker series to spark discussion around important farm, environment, and health issues. The series is free and open to the public. Check out the Speaker Series here. PLAN A VISIT TO THE FARM Interested in having your class or group come to the Farm for an education or volunteer-oriented visit next spring, summer or fall? Email our Education Director to book a future visit. Please note that we host on-farm visits April – October. PLAN AN ENRICHMENT PROGRAM Can’t make it out to the Farm? Let the Farm come to you! Enrichment programs centered on farm-related topics can be booked at your site. Email our Education Director to discuss or book a future program. View our Farm Education Brochure for featured program topics. FARM EDUCATION VOLUNTEER OPPORTUNITIES We have farm education volunteer opportunities available for tweens and teens during our spring, summer, and fall youth programs. Check them out here if you’re interested. FARM EDUCATION BROCHURE AND VISITOR GUIDE View our Farm Education Brochure for an overview of Education Programs at the Farm. See our Visitor Guide to prepare for a youth education program or farm visit. If you have any questions or concerns, contact the Education Director.